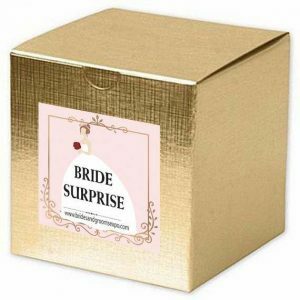 Make sure that your info, product or service goes home with all the brides in our BRIDE SURPRISE BOX. BOX at the registration table! 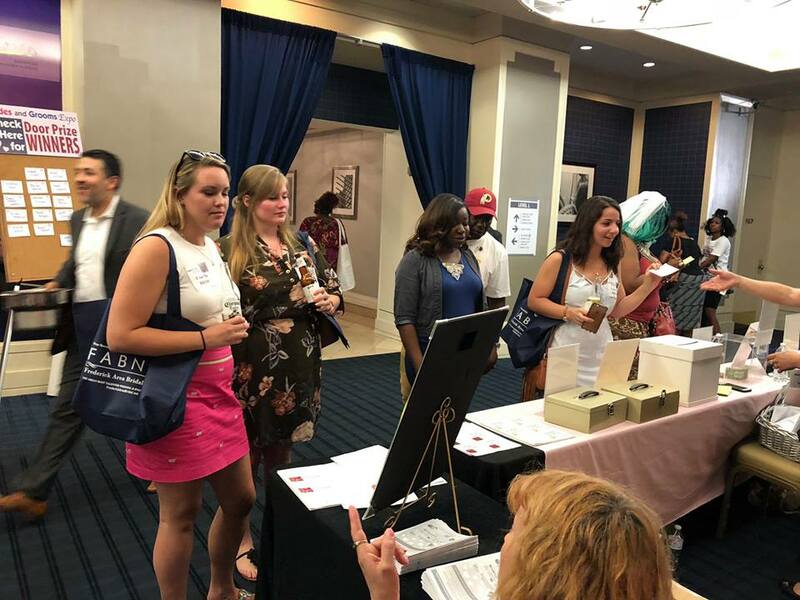 With over 100 brides at each Brides and Grooms Expo, inclusion of your promotional gift, coupon, or collateral material in a BRIDE SURPRISE BOX is an excellent marketing opportunity to get your product and/or info about your brand/services into the hands of your target market. 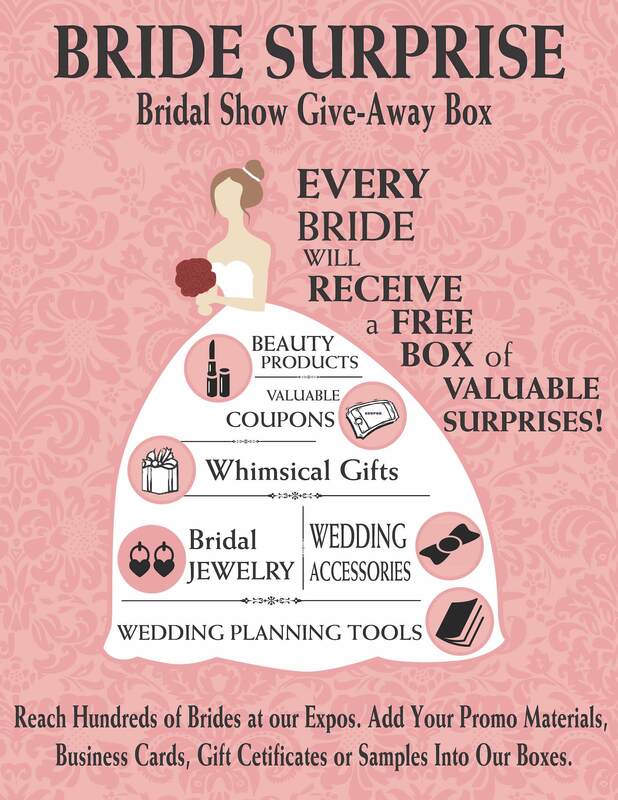 Everyone loves swag, and brides especially love the attention of a special gift box filled with gifts, cool promotional items, and coupons. It’s a mystery what will be included in this box but it is sure to excite and surprise any Bride to Be. Brides and Grooms Expos are held in the Baltimore, DC and NOVA areas.